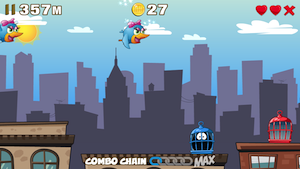 City Birds ($0.99) by Chunky Apps is an unusual endless runner game that has elements of the action genre. These birds all think that they’re flying to freedom. Like any feathered friend who flies mistakenly into a mirror, these guys are soaring to their doom. Being the warm-hearted bird lover that you are, you’re willing to risk life and limb to get those birds to the wildlife preserve. First, you’re going to have to capture them. The city roofs are dotted with bird cages. 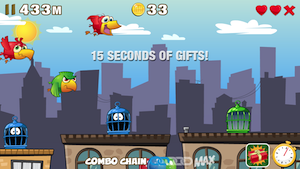 As birds fly across the screen, you’ll need to drag them to the cage that corresponds with their color. Apparently,the fashion statement of matching homes with plumes is all the rage this season. Not only are you trying to coordinate captures among different birds on the screen, there are other dangers that you need to be aware of. There are eggs that you need to crack. If they land, they’ll break a cage. There’s also dynamite and floating donkeys. Your guess is as good as mine about the donkeys. You have three lives during the level. If an egg breaks a cage, a bird isn’t captured, or dynamite explodes, you lose a life. Normally endless runners don’t give you extra lives. This is where the action aspects come into play. 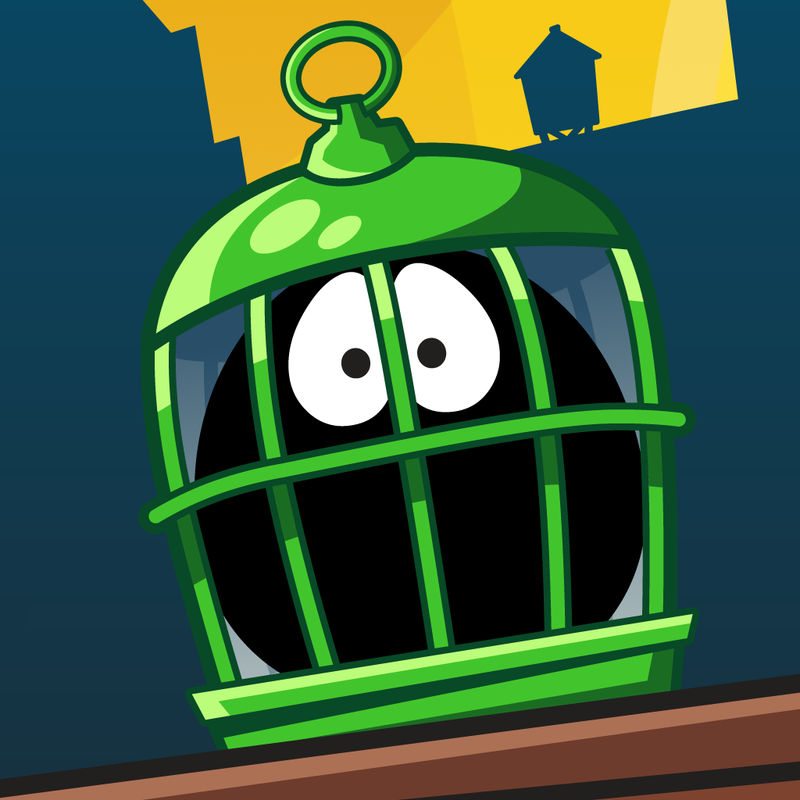 You can earn coins by capturing birds, cracking eggs, or opening floating presents. 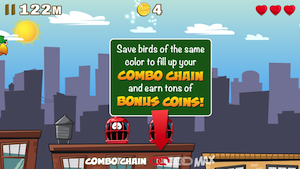 You can use the coins to unlock new birds that you capture. These new birds come with bonuses. If you want to buy coins, there are several in-app purchases available. They range from 1,200 coins for $0.99 to 6,000 for $2.99. You can also buy a boost that doubles the coins you earn for $0.99. 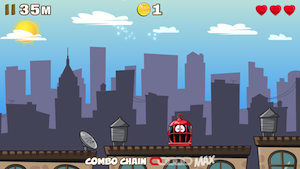 This endless runner game adds some action to it for more entertainment. 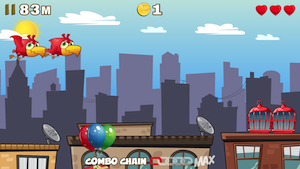 The lives allow you to play longer rounds, and you can earn more coins. 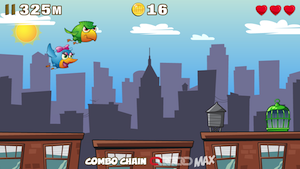 The premise of trying to catch the colorful birds is also enjoyable. This is definitely a fun game to download. 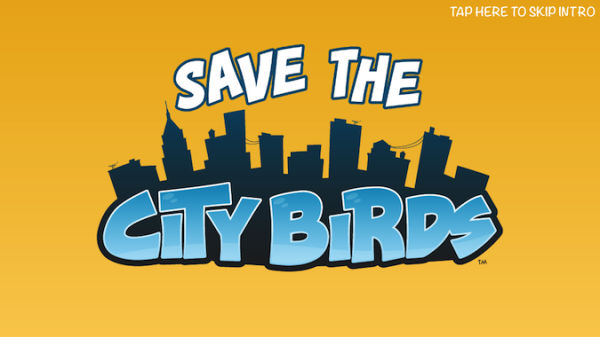 City Birds is a universal app, and it’s available in the App Store for $0.99.